California's cat-sized island foxes -- hurt by the introduction of invasive species and pesticide use, as well as disease -- were federally protected in 2004 after a petition and lawsuit by the Center and allies. More proof of the lifesaving power of the Endangered Species Act: Last week the U.S. Fish and Wildlife Service removed three subspecies of island fox, each living on a different island off California's coast, from the endangered species list. A fourth subspecies, on Santa Catalina Island -- which hosts a permanent human population -- is still protected but has been "downlisted," showing that this fox, too, is rebounding. 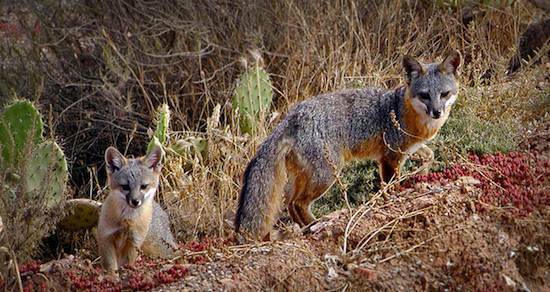 "Because these unique, adorable foxes evolved separately on the islands for 16,000 years, they're some of the only carnivores endemic to California," said Jeff Miller with the Center for Biological Diversity. "They were on the brink of extinction just 12 years ago, when they were protected under the Act. Now, thanks to successful reintroduction and recovery efforts, fox numbers are way up and threats have been reduced."